PLANO, TX – March 29, 2018 – Nimdzi Insights LLC, a global market research and international consulting company focusing on the language, translation and localization industries, has ranked Texas based Akorbi as the 12th largest language service provider (LSP) in the US. 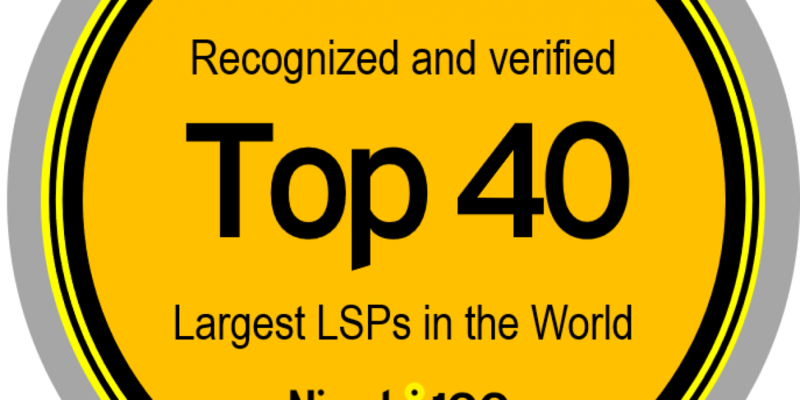 The report titled, “Nimdzi 100” released earlier this month, also ranks Akorbi as the 34th largest LSP in the world, and the 4th largest organization globally to have achieved organic growth. Akorbi attributes its rapid growth to listening to its customers needs, analyzing trends with the changing requirements of the market, and quickly adapting to meet those needs. This culture of versatility and market adaptability compliments the delivery of a full service offering of language solutions to meet those needs including video technology, staffing, multilingual call center solutions, translation, localization, interpreting and learning services to businesses across the globe. “Our success is a result of the hard work and dedication of our hundreds of team members and partners worldwide as well as the focus on delivering quality, reliable services tailored for each customer’s individual needs” said Mirza. Akorbi bases its success on its continued investment in intellectual property such as its patent pending platform that provides enterprise solutions, processes and market analytics for any language. It is also developing innovative language solutions for Telemedicine. Harmonizing innovation that is representative of the diverse and ever-changing market needs has allowed the company to stay one step ahead of the competition and continue growing at a rapid pace. The Nimdzi report ranks the top LSPs by revenue worldwide. It conservatively estimates the LSP industry value at USD $50 billion in 2018 and projected to reach USD $66.5 billion by 2022. Companies range in revenue from $615 million to $10.6 million. The research found that the US is the most promising growth market with heavy concentration of large LSPs attributes to North America having many of the world’s top accounts. Konstantin Dranch, chief researcher at Nimdzi stated “We used an investigative approach that included the assistance of in-country experts, and we have invested countless hours into intense research, data collection and analysis in order to present our exclusive findings”.